At the Nation Association of Broadcasters 2017 conference, Dell has revealed its first HDR (High Dynamic Range) monitor, the Dell UltraSharp UP2718Q. 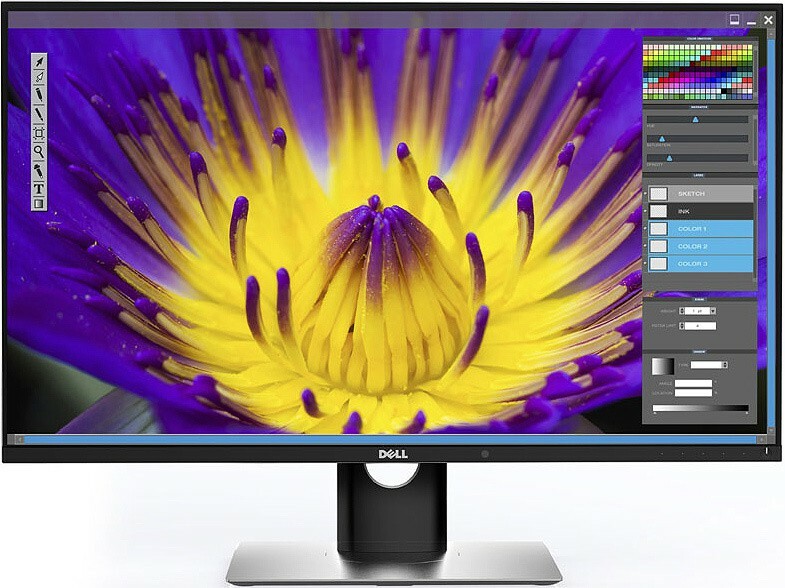 Besides featuring the HDR10 and the 4K resolution with the UHD Alliance Premium certification, the Dell UP2718Q PC monitor will offer extensive connectivity options and a vast range of factory-calibrated color spaces, although it’s going to be quite pricey which makes it aimed at the high-end professionals only. 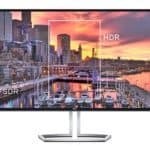 Besides announcing their first HDR10 monitor and the Dell S2418NX and other models, Dell has revealed two additional UltraSharp monitors that will feature the InfinityEdge design with a virtually borderless chassis and the exclusive “Dell HDR” feature. 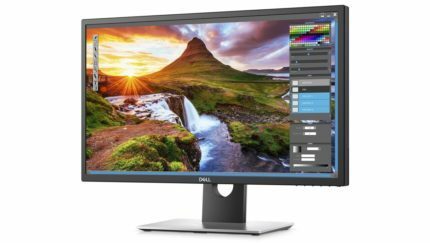 The Dell U2718Q will be a more budget-friendly 4K editing monitor than the HDR10 model but at the moment there is not much information available about it nor the Dell U2518D (apart from that it’s 25-inch in size). Both of these monitors will be available in July for $700 and $500 respectively. The Dell HDR feature that these monitors will offer shouldn’t be confused with the official HDR10 format, but rather considered as a somewhat of a picture enhancing feature. Dell hasn’t revealed much about this feature either, but we will inform you once we find out what’s it all about; until then, we’ll focus on the Dell UltraSharp UP2718Q HDR10 monitor. The Dell UP2718Q display uses full-screen LED backlighting to achieve 1,000 nits of brightness in order to support HDR 10 content. Therefore, the 1,000 nits of brightness can only be utilized for the HDR content while the maximum of 400 nits is reserved for regular, non-HDR content. The crisp 4K UHD resolution displayed on a 27-inch monitor provides a rich pixel density of 163 pixels per inch which manifests into an amazing image quality with stunning detail clarity and sharpness. Naturally, the Dell UP2718Q is aimed at the high-end professionals and thus covers a plenty of diverse color spaces including 97.7% DCI-P3 and 76.9% Rec2020 color gamut while the Dell PremierColor ensures 100% sRGB, 100% Adobe RGB, and 100% Rec709. The 10-bit IPS panel is factory-calibrated but also features internal LUT and Dell UltraSharp Calibration software for further calibration if needed. Besides the impeccable color accuracy and consistency of the panel that’s adequate for the high-end designers of all professions from photography to video editing and animating, the IPS panel also ensures the flawless 178-degree viewing angles. The information about the response time speed is unavailable at the moment. 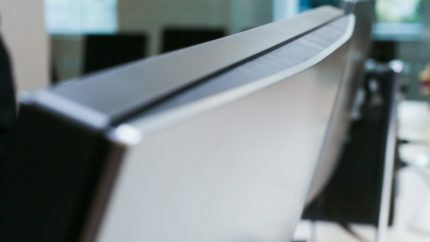 Unlike their eye-catching InfinityEdge designs, the Dell UP2718Q IPS display features a rather thick bezel and an overall chunky design which is probably a toll the monitor has to take in order to provide such accurate colors. The type of the screen coating, as well as the ergonomic abilities, are unknown at the moment. The connector ports include two HDMI 2.0a, a DisplayPort 1.4, a miniDisplayPort 1.4, and four USB 3.0 ports, two of which support fast charging. The latest DisplayPort 1.4 still features the same speed of 32.4 Gbit/s as the 1.3 version, but it implements the Display Stream Compression 1.2 support for the HDR10 format and Rec2020 color space. The HDMI 2.0 supports 10-bit HDR at 4K as well. The Dell UP2718Q price will be $2,000. Considering that it’s aimed at the high-end professionals and that it will offer them adequate tools to create state-of-the-art HDR content, the price seems reasonable. The Dell UP2718Q release date is 23rd May 2017. Gamers don’t have to wait for an HDR gaming monitor or to pay such expensive price as the LG 32UD99 is already released and features 4K HDR display for a significantly lesser price of $1,000. On the other hand, for $2,000 you will be able to purchase 144Hz 4K G-Sync HDR gaming monitors, once they are released. 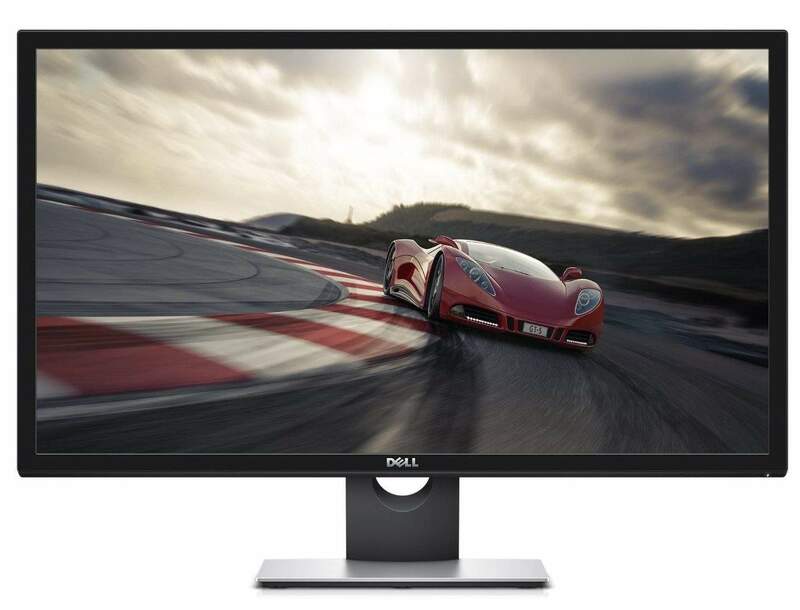 The Dell UP2718Q display will be the high-end professional monitor that’s intended only for serious designers. Offering the true 10-bit IPS panel with plenty of color spaces covered, HDR 10 support, and factory calibration, this monitor outclasses most of the HDR displays out there, for the right price. As far as gaming is concerned, the Dell UP2718Q 4K HDR display will certainly provide an otherworldly image quality in video games although due to the low refresh rate, no adaptive-sync, and most likely slow response time, the performance would greatly suffer which is unacceptable considering the price. Alas, it’s clearly a professional-only monitor, so we can’t hold the gaming drawbacks against it. The Dell UP2718Q will offer an amazing image quality and color accuracy thanks to its true 10-bit IPS panel and superior brightness and contrast values. Due to its HDR10-ready content creating abilities and the expensive price, it’s aimed at the high-end professionals only.